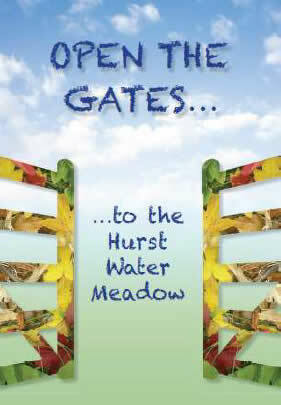 Welcome to the Hurst Water Meadow, a classroom under the open sky! We welcome all visitors; bring your family, come in a group, or on a school visit, and discover that learning outside can be the best and most memorable learning experience. 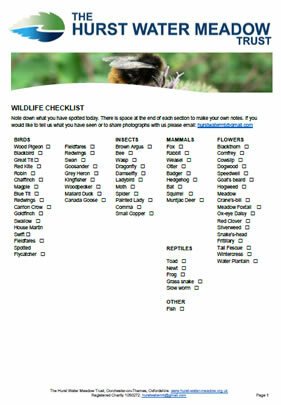 Bordered by the River Thame and the Overy mill stream the meadow supports a diversity of plants and animals. It is a picturesque site with a backdrop of Dorchester Abbey and the Wittenham Clumps, making it an ideal place to visit as part of a whole day of exploration in the local area. 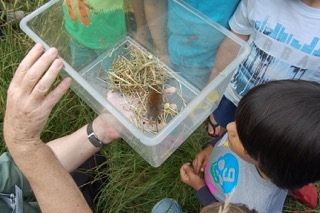 Free access to a range of habitats (grassland, woodland, hedgerow, stream, river) and diverse wildlife. Managed paths and information boards to guide you. 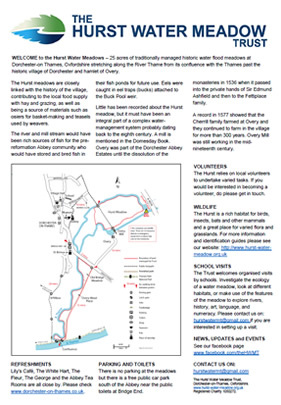 Visitor guides and information packs. 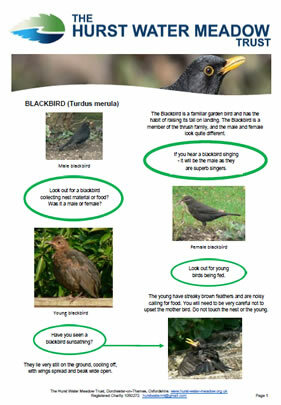 An activity pack for young families. Shaded riverside seating – great for outdoor learning or as a handy lunch spot. Occasional special events or tailor made visits on request. An opportunity to explore these historically important meadows in combination with a visit to Dorchester Abbey, and museum. The meadows are used to hosting both primary and secondary school groups. We can support with equipment, ideas and guides. If you are organising your own school visit please contact us in advance to book and discuss. 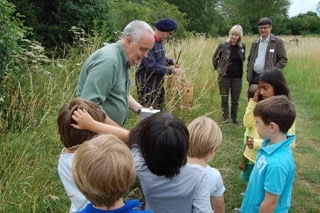 We are always happy to welcome groups of any size and interest to the Hurst Water Meadows. 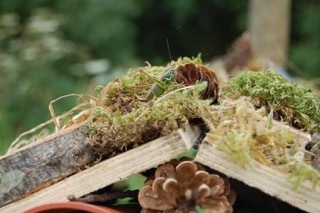 Please email us if you are planning a visit and would like some help or advice. 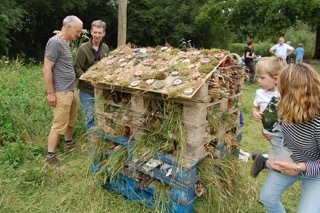 The Hurst Water Meadows are an ideal place to bring your children, both young and old! Walk through the meadows as part of a circular walk to include the Hurst, Old Bridge Meadow, Overy Mead Piece, the ancient Dyke Hills, the village of Dorchester and its famous Abbey. 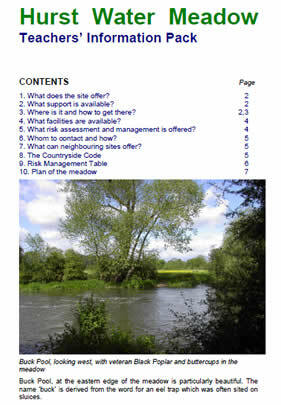 Relax with a picnic at one of the many riverside spots, or under the shade of the great oak (no fires or BBQs please). 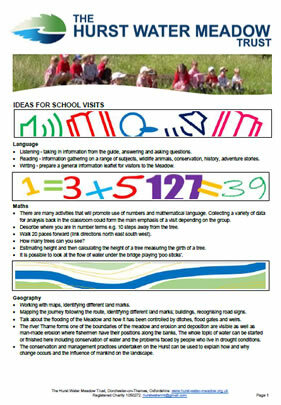 Explore using the worksheets and guides. Once you have visited us, tell us about your experience!